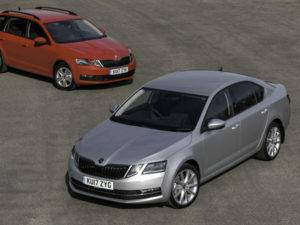 Skoda has expanded the line-up for its recently facelifted Octavia (see road test here) with a new 1.5 TSI petrol engine. Available since July on the fleet-focused SE Technology trim, the new engine is now being made available on SE and SE L models, with prices starting from £19,830 for the SE Hatch version, to £24,315 for the SE L Estate model. The 148bhp four-cylinder unit is a substantially updated version of the existing 1.4 TSI engine and features VW’s Active Cylinder Management (ACT) technology first seen in the Skoda line-up on the Superb. The system works by shutting down two of the engine’s four cylinders under low and mid load situations, with both cylinders activated again if the driver presses the accelerator pedal hard – this takes between 13 and 36 milliseconds. The engine is married up to a six-speed manual transmission as standard, with a seven-speed DSG available as an option, and brings fuel consumption and CO2 benefits. The Octavia 1.5 TSI hatch returns 57.7mpg on the combined cycle for both transmissions and has CO2 emissions of 113g/km for the manual (114g/km for the DSG). Estate models return 55.4mpg (manual) and 56.5mpg (DSG) and emit 116g/km and 115g/km respectively. In terms of performance, the new engine can sprint from rest to 62mph in as little as 8.2 seconds (manual hatch version) and has a top speed of up to 136mph. Order books for the new engine are open now.